Once Chinese electronics manufacturer Zhuhai CTC Electronic Co., Ltd decided to get into the 3D printing space, they decided to take that space by storm, releasing a popular desktop FFF 3D printer, then an SLA printer, and a larger FFF 3D printer. They’ve also opened a large manufacturing plant and even claim to be working on a full-color 3D printer to be unveiled next year. Now, their SLA machine is just about ready to ship worldwide, starting this July. In order to achieve the printer’s low price point, the company has sacrificed a bit on layer detail, with the Riverside capable of 0.1mm layer thicknesses, instead of the .025 achieved with other SLA machines. Still, the CTC printer, which has a build volume of 135mm x 135mm x 180mm, relies on similar technology, curing resin sensitive to the 405nm UV wavelength. The manufacturer also argues that less fine layer detail speeds up the printing process and improves the success rate of prints from 40% to 95%. The Riverside will be equipped with its own proprietary firmware, for control of the laser and galvanometer mirror positioning system, but its software and operating system have been developed based on Cura and Repetier Host. Head of Public Relations at CTC Electronic,He Siyi, said of the printer’s release, “Our goal is to allow the designer to have access to an affordable and reliable tool and provide an all-new product-verification solution.” The company’s press release goes a bit further, attempting a take down of other popular printers in the process of describing their new machine. 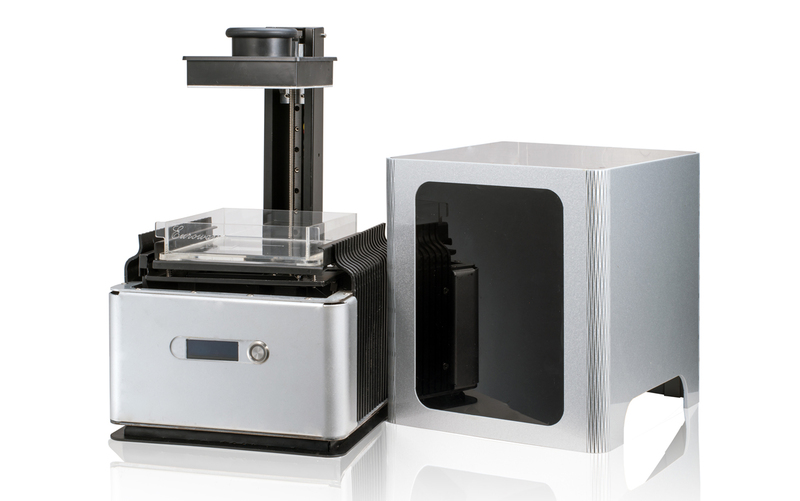 CTC writes, “The commonly used resin plate of existing equipment, such as the Form 1, is extremely vulnerable and the molding efficiency is low, which, to a large degree, have ruined user experience and held back buying.” Of another popular brand, they state, “It will be the world’s first high resolution 3D printer that is truly affordable for the ordinary user, with the price point set at USD1,480 in the U.S. and RMB13,800 in China, a price point quite a bit lower than that of MakerBot.” All of this without even disclosing whether these statements are T or shade! The Riverside is an interesting addition to the world of low-cost SLA, especially given the fact that Formlabs recently began selling the Form 1+ 3D printer in China and XYZprinting is anticipating the worldwide release of its own SLA-style printer in the near future. How will it all play out? You tell me!